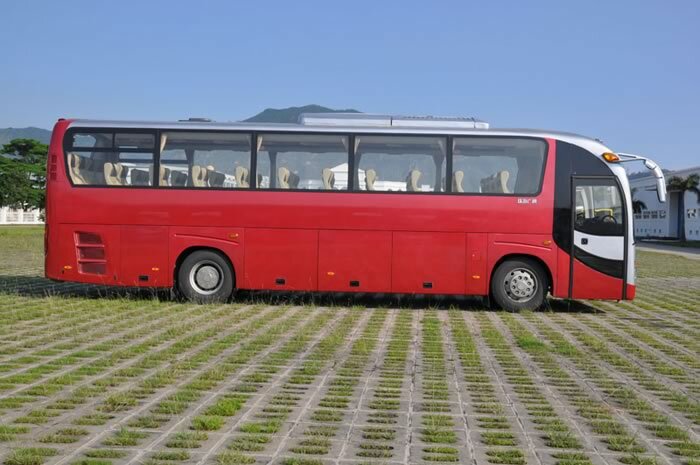 The tour coach GTQ6109E3G3 is designed to accommodate 43 passenger seats. 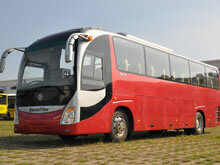 The engine provides maximum power of 245ps/2500rpm. 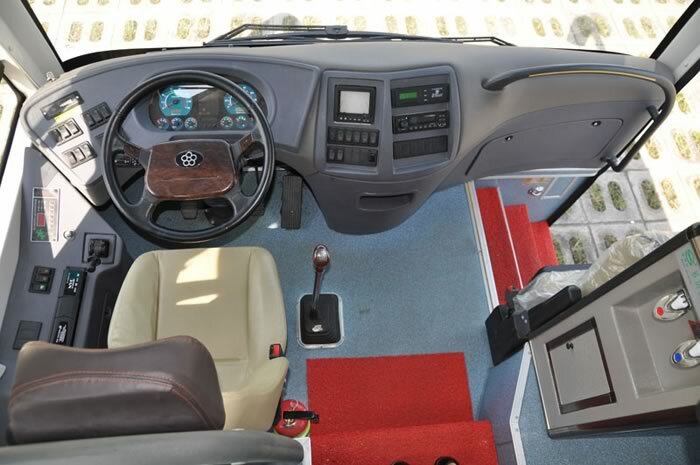 The drum service brake, storage spring parking brake, automatic brake adjuster and ABS are used to ensure the braking efficiency of the vehicle. 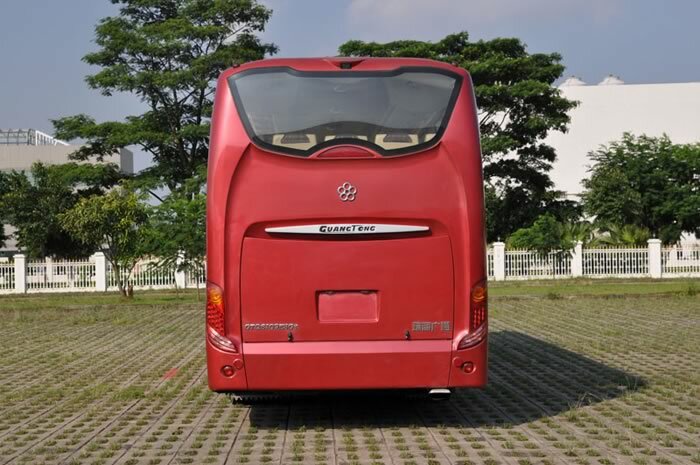 A front axle disc brake retarder is available as well. 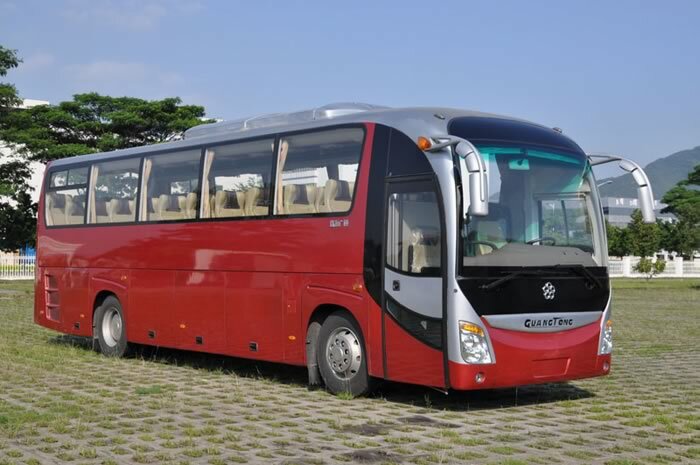 This tour coach has standard features of luxurious upholstery, luggage rack, LCD screen, defrosting device, folding curtain, electronic horn and air horn, safety hammers, fire extinguisher, auto fire extinguisher in engine compartment and more. 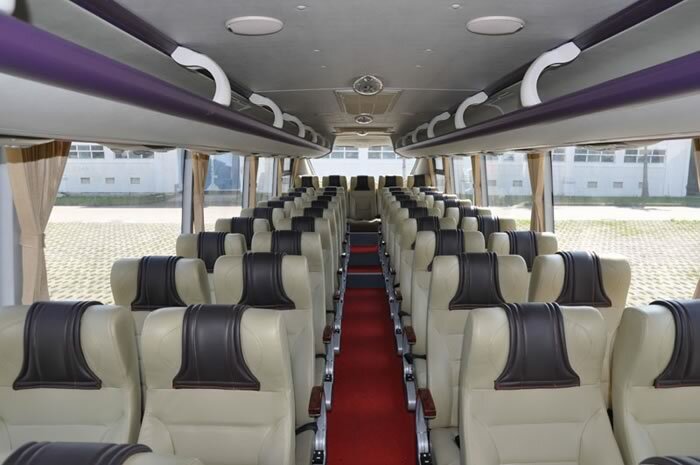 A DVD player, LCD screen, water fountain and so on are optional. 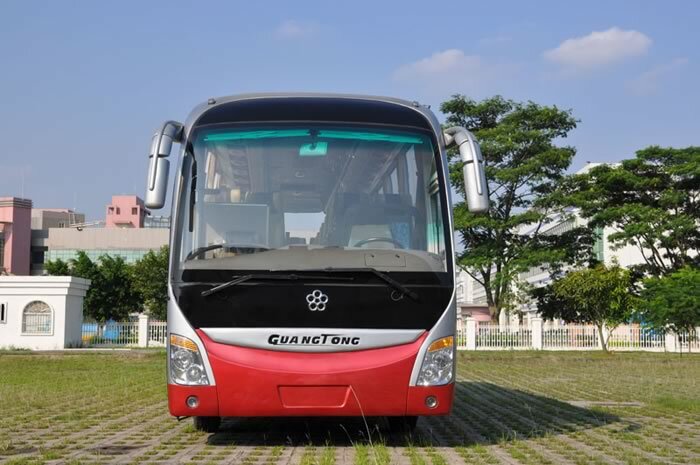 Guangtong is a professional tour coach manufacturer, based in China. 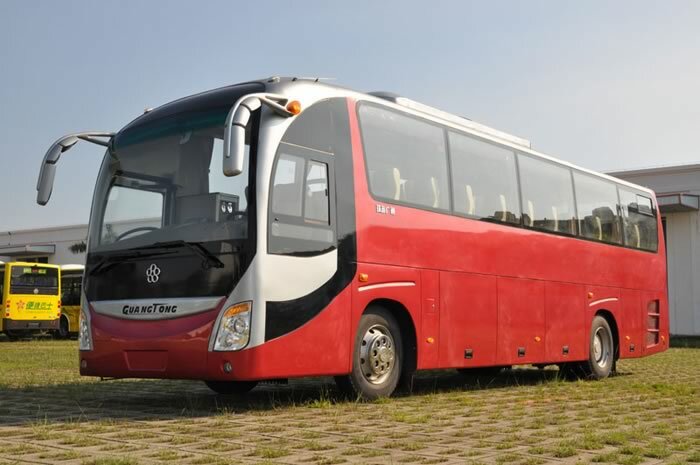 We are able to produce an extensive line of products, such as hybrid bus, ambulance, CNG bus, city bus, and electric bus, etc. 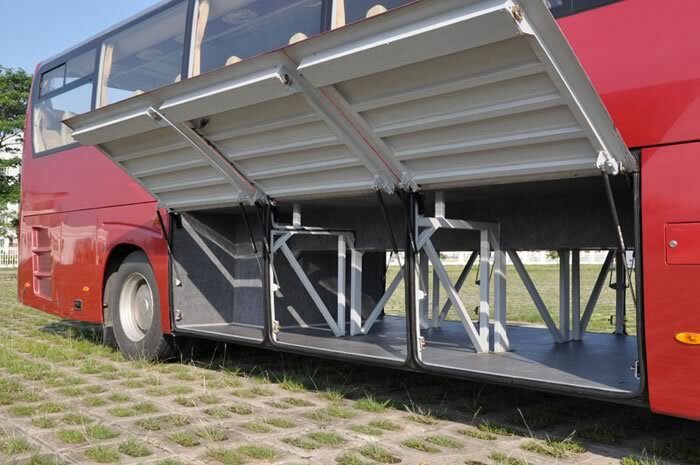 For more information, please contact us via any of the methods listed on this website.